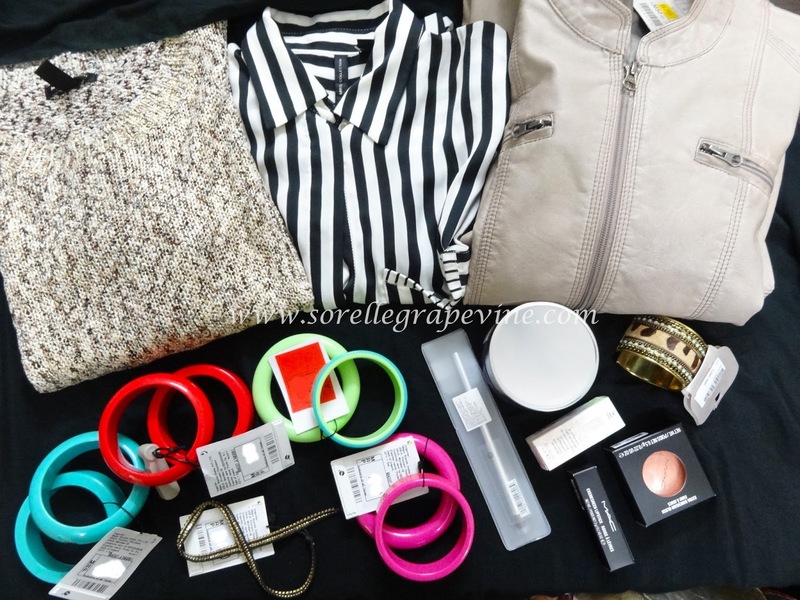 Just another manic haul day! I have been singing these lines all evening 😛 Just stuck in my head since I spoke to my friends about doing a post for my haul. I ventured out for some work and as usual ended up buying a couple of things. How do you stop yourself from getting something especially when there is sale all around?!? Well somethings were planned…hmm ok I had planned to go to 2 stores only – one to peek and one to buy. Make that 3 – 2 to peek in and 1 to buy. I wanted to see if the Dior summer collection finally made out here (peek), whether the MAC Temperature Rising was launched (peek) and since I heard Promod was on sale I wanted to pick these really light jackets (hmm not sure if it the correct term from them as they were made of thin material…more of a cover up I guess) available in different colors that they had in their collection (buy). Dior collection is still not here (boo!) neither was Temperature Rising (double boo!!) but the had the Extra Dimensions collection and I picked a blush in the shade Blazing Haute along with lippy in Crosswires. My main objective was to book some pieces from the upcoming collection before they ran out of it. 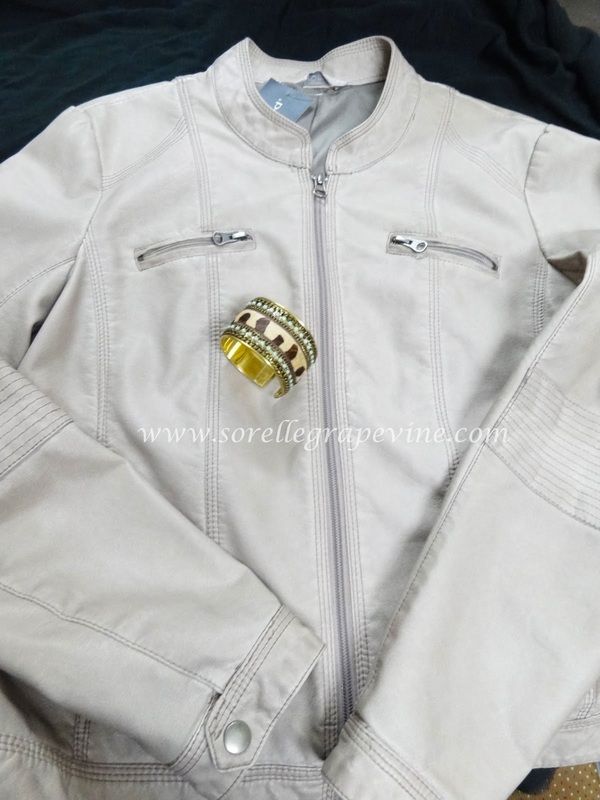 I then mosey-overed to Promod where they had run out of the jackets that I wanted but I found this one in beige leatherlite material. Next I popped into Mango as I spied a nice maxi dress hanging in a rack. On closer inspection it was too printy and night gown like looking. I picked up this black and white vertical strip shirt which I will wear as a cover up. It feels silky satiny to touch and is quite light to wear. Priced at Rs. 2790/- I paid Rs. 2490/- for it. Next I got this beautiful knitted top. Looks like woolen material but it is not and is suitable to wear in present climate. Has a beige base color with flecks of black, brown and metallic gold in it. I don’t know the original price for it as it does not have a tag but I paid Rs. 2390/- for it. 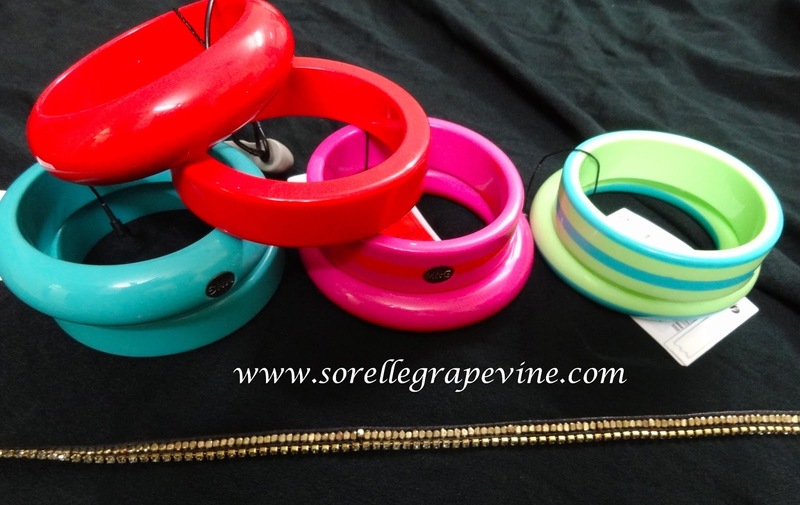 Next I spotted these chunky arm candies and the colors were all so lovely and appealing that I picked a whole bunch of them on discounted prices. I even got this thin black strap like thing with diamante which can be worn as a double wrap bracelet. Again you will get more info on these on the Tuesday feature. I then spotted the Clinique counter and saw that they had gotten the newly launched nail paints (Rs. 1100/-). I really really wanted to get their Black Honey iconic shade as the famous lipstick version of it is not available in India and it gets sold out in their International stores. I spotted these really cute kits from them which has been newly launched. They are about 5 of them each featuring an iconic skincare product from them. These kits are priced at the value of the featured product but you will get 3 products in them along with a cute toiletry bag. They have one ie a 6th one featuring one of their perfume. Great idea for giving gifts! Browsing their setup I decided to pick up the Take Day Off Balm (Rs. 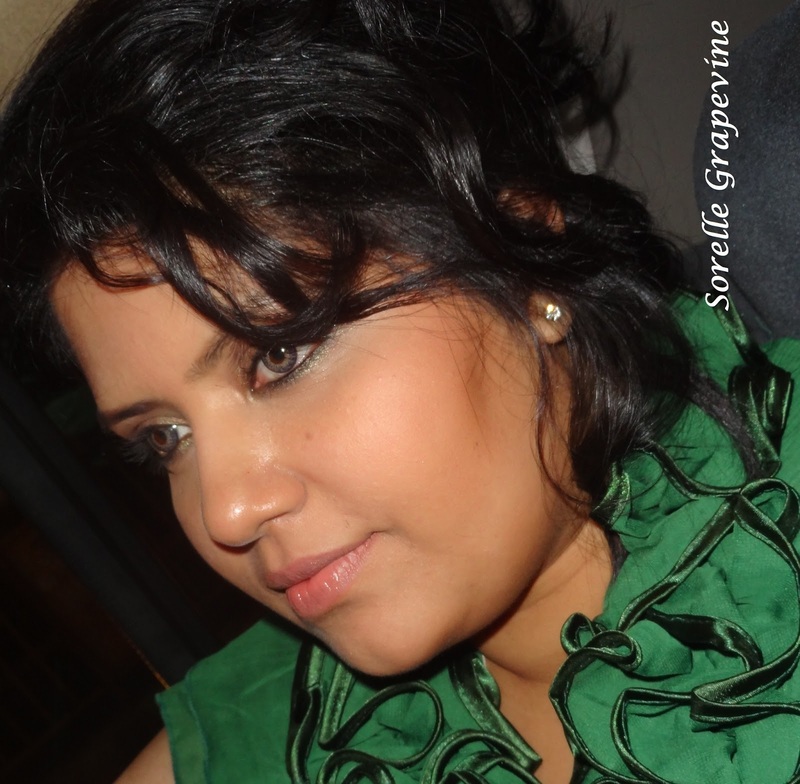 2000/-) which Ankita from Corallista spoke off highly. And I got a eyeshadow brush (Rs. 1350/-) something that I was not aware that Clinique had. I love the packing of it and will keep it aside. Phew! That was some day. Oh but that was not all 😛 I got 2 of my packages in the mail! One was the Real Techniques Stippling Brush from Feelunique and the other was a package from Rooja. My mom was scandalized when she saw these and was like “what all weird things do you keep buying of the internet!? !” LOL! I have been eyeing these for a long time and could not resist this time. They are travel bags to store your intimates in. One is shaped like a B and the other is shaped like an underwear. I bought matching designs for it….are they not adorable 🙂 The are from a US company called Brag and this design is called Tiffany. I got the large size for the B as 1) it is meant for bigger cup sizes and 2) the other one looked very small and would only carry 3-4 but this one can carry more number of pieces. It is stiff to touch and feels a little heavy so I’m not sure how ideal it would be for travel. 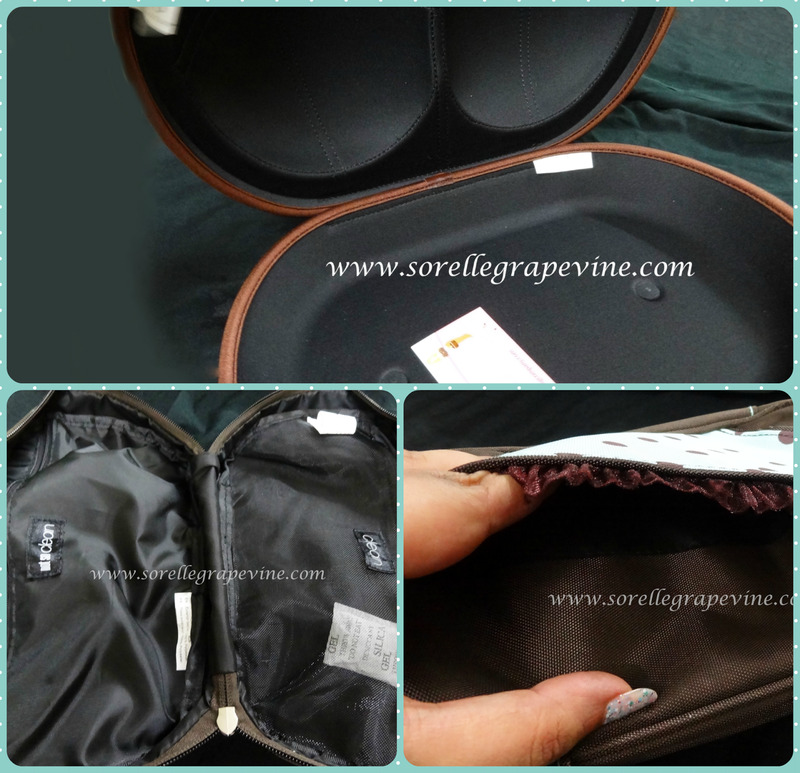 The other one has two compartments where you can store fresh and used clothes separately. That is right size and soft to touch thus making is convenient to carry along. The front and back part of the designs has small pockets thereby giving you additional storage spaces. Under normal circumstances I would be too shy to show these to you like this but given how cute they are I just had to share em :). And that wraps up my haul for this time. Seriously need to hide my cards away!!! But I know I will not be able to survive a shopping ban….makes me very fidgety 😛 Thank God for the off hours I keep and the rising dollar rate. Small mercies…..Well I will see you soon. Buh bye! Since my last post on the Chubby Stick I have been in a constant state of inner battle with myself. Did I get it right? 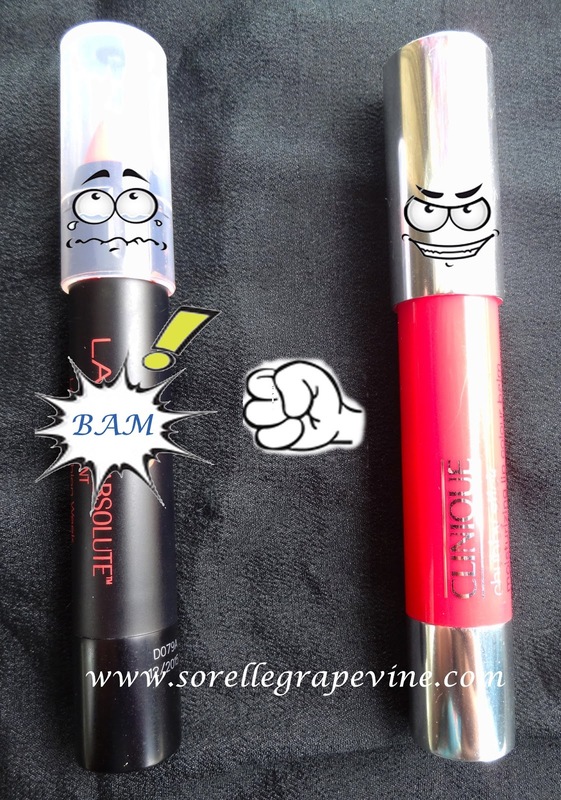 Is the Revlon one really better? How about the Lakme one? Oh Damn! What if I got it wrong?!? Hey Clinique is a well respected brand….maybe….could be…..hmmm….what…..zoinks!!! So when I started to pen this post I was like I’m going to try them all out at the same time and figure out which one is actually better and lay my uncertainties to rest. Right or wrong I’m gonna figure this out. I picked up the 2 Lakme pop tints recently especially since there was an offer on them. There was about a 100 bucks off and I got them from New U. Since Revlon ones are for 650 I had no issues paying 700 a piece for these. Do check out your Lakme counter to see if this offer is valid there. So after having all of them in my kitty I’m going to do a comparison post along with the Chubby Stick review side by side. 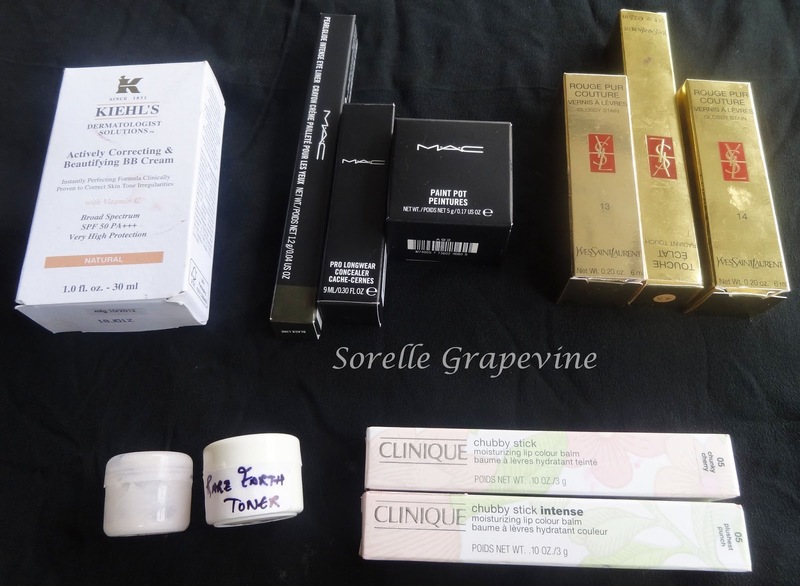 Let me start by comparing the Lakme and Clinique one. The former is supposed to be a tint and the latter is supposed to be a balm. 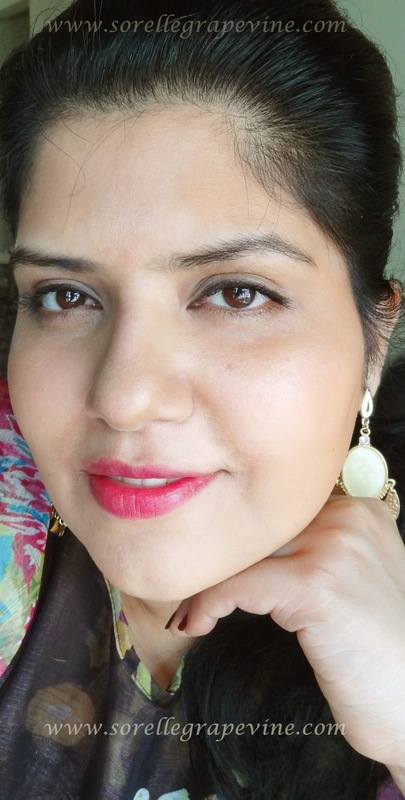 So I decode that as the first being more like a lippy and the second being….well….a balm 😛 Considering them as apples and oranges I’m gonna throw Lakme out of this mix. Phew! One down….another to go. Ok now coming to a face off between Revlon and Clinique. When I wore Revlon my lips felt comfortable. I did not feel like I had something on…they just felt nice. It was not too moisturized but decent enough and it felt right. The color does not move around on your lips and gives them proper coverage at all times. Plus as they are a stain lasting power is much greater and I don’t get the whole patchy look after an eating session. Phew! Ok Revlon = Good! BTW all 3 mentioned brands look the same when you swatch it on the back of your hand. On the lips they are a whole different ballgame. Coming to the Clinique one. My lips looked more “oily” when I put this on. So for a second I was like oh I was wrong…..but then I realized that my lips didn’t feel comfortable in them. By that I mean I could feel a light stretch sort of feeling on the outer part of both my lips when I had this on. I’m having a little bit of dry lips at present. They looked better moisturized but did not feel so. Also I noticed that the color moves around and it ends up looking patchy. I know they are not a stain and it is unfair to compare this quality but I just want to put it out there for you. They don’t completely survive an eating session and disappear from the middle of the lips. 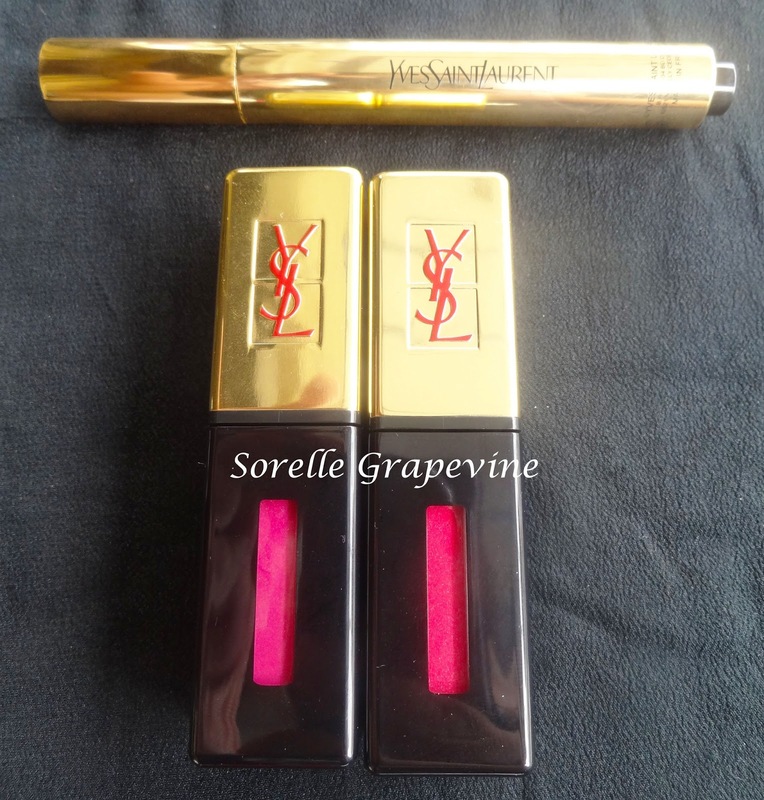 If you compare the intense version with the regular one, the latter is actually more comfortable to wear on the lips. Feels more moisturizing. 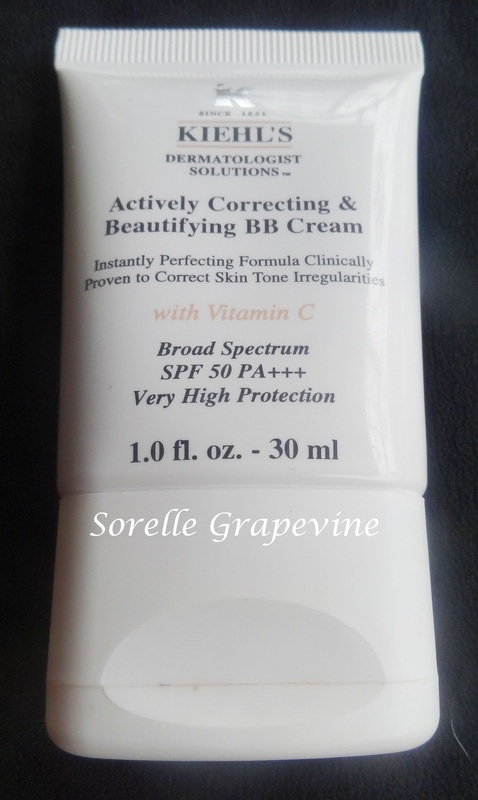 I read some review where the blogger said she felt her lips felt well moisturized the next day even but I did not have the pleasure of experiencing that. That is to say it didn’t work on me that way. Plus I didn’t like the patchy look it gets when you rub your lips. 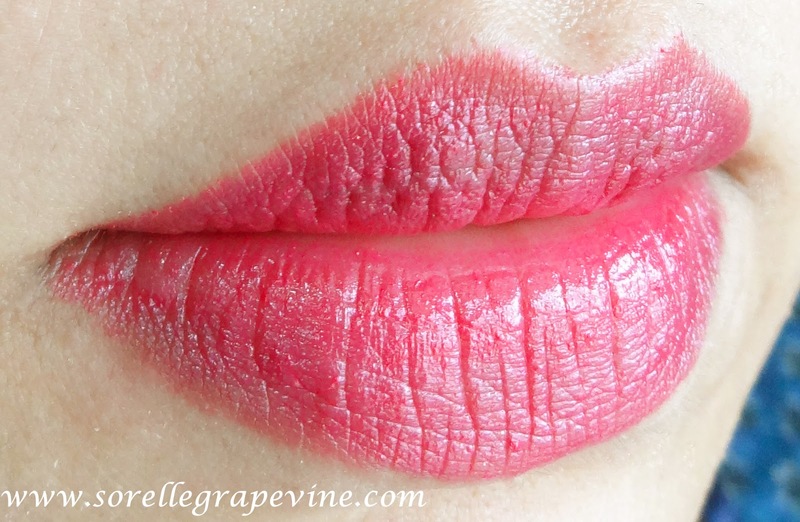 The product does not distribute evenly when you rub the lips together or pat them together. Color lifts up from places and other areas end up looking darker. Only swiping it with the crayon again brings in the evenness. I’m having difficulty in describing the color of Chunky Cherry perfectly for you. It is a sheer pink shade but I find a tone to orange in it. And at times it looks like an orange toned red to me. These were my observation for the color swatched at the back of my hand. On the lips it looks like a very nice sheer red. In conclusion, I would say that if do want to buy this brand then choose the intense if you are looking for color and the regular one if you want moisturization. But Revlon costs much less and has better qualities overall giving you a wide range of color choice. Someone would argue that Clinique has more color choices but I beg to differ. I saw a couple of swatches online where a couple of shades from the regular line were swatched side by side and some of the colors looked almost identical with a very slight difference. That wraps up another review on these Chubby Sticks. I don’t know why I have gotten fixated to the Revlon ones. If you guys feel differently then do let me know. Have you tried any? Is there some other product that you feel is better than these? Waiting to hear from you. Till next time – Ciao! 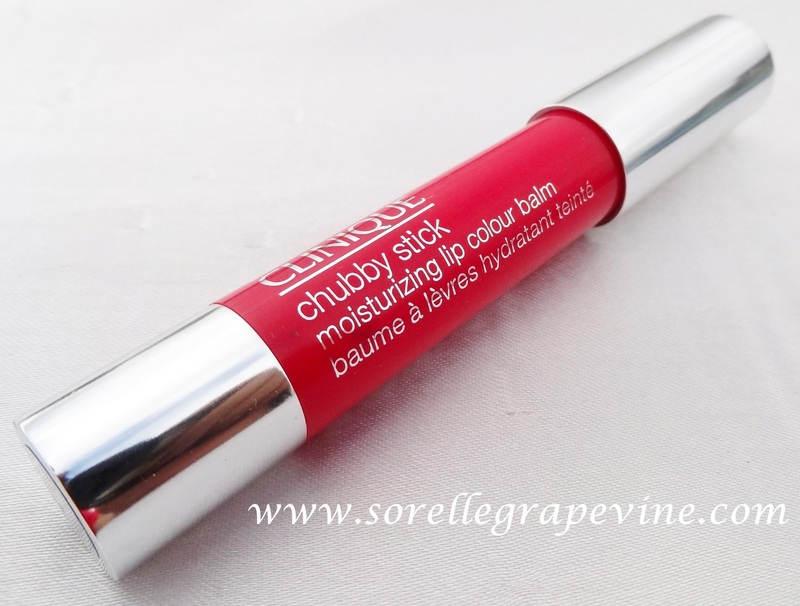 Would you purchase Clinique Chubby Stick Chunky Cherry again? – No. Would you recommend Clinique Chubby Stick Chunky Cherry to your friend? – No. 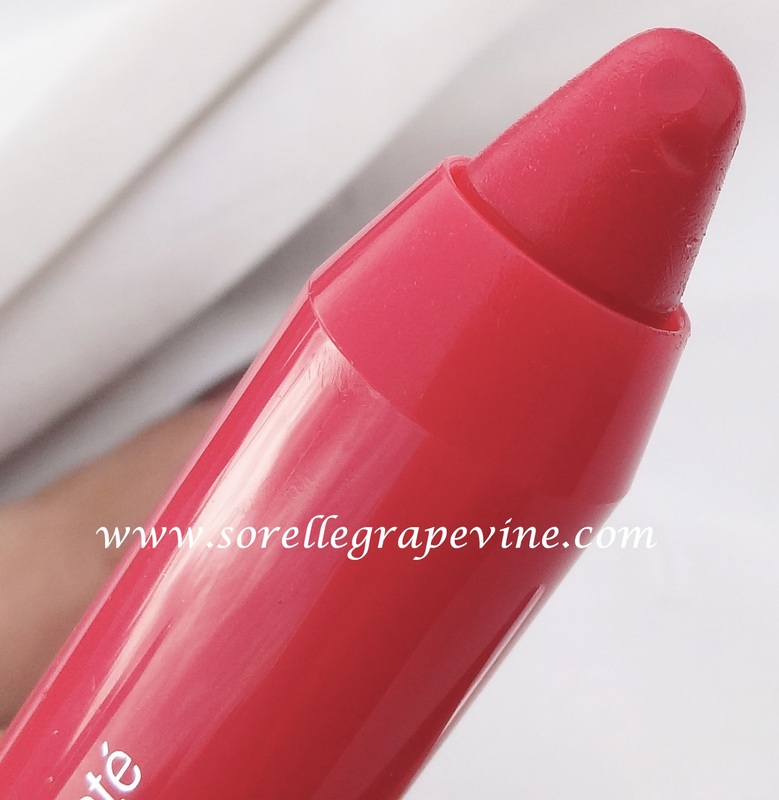 Today I bring to you a lip pencil/crayon from Clinique. 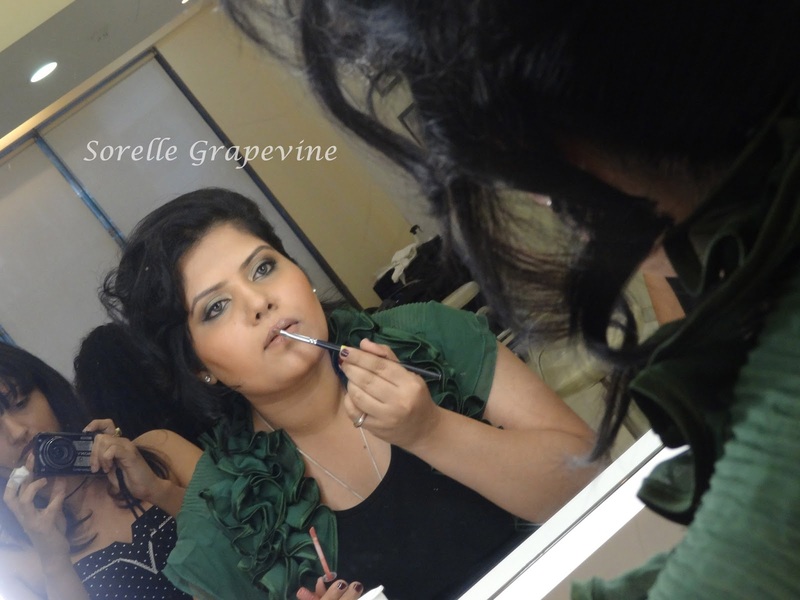 These form of products have become immensely popular in recent times especially since the Revlon ones made their way here which was followed by the Lakme ones. I feel Clinique is known more for its skincare than makeup in India even though some of their pieces are very well known and highly coveted internationally. It is supposed to have a very famous shade called “Black Honey” in its lipstick line which is very hard to get your hands on. But I digress, lets look into this chubby stick. A little more than 3 inches in length this stick has metal coverings on its top and bottom. The base can be twisted to get more product out. The color of the stick is supposed to match the color of the product and is a close match to it. There are 2 ranges available – one the regular one and the other is known as intense. 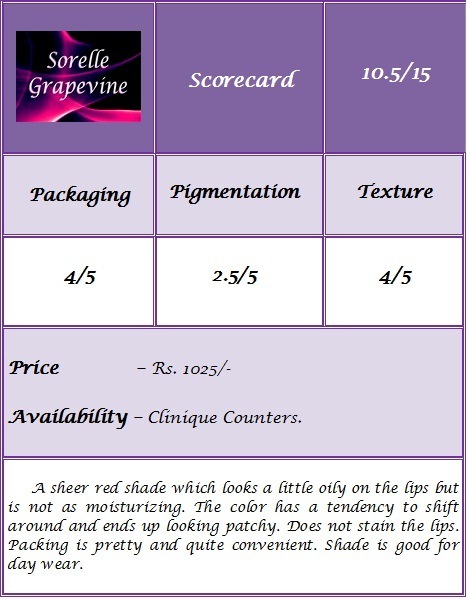 As the name suggests the pigmentation is more pronounced in the Intense range while the regular tends towards sheer at times. There is no smell to it whatsoever unlike the Revlon ones which are quite minty. 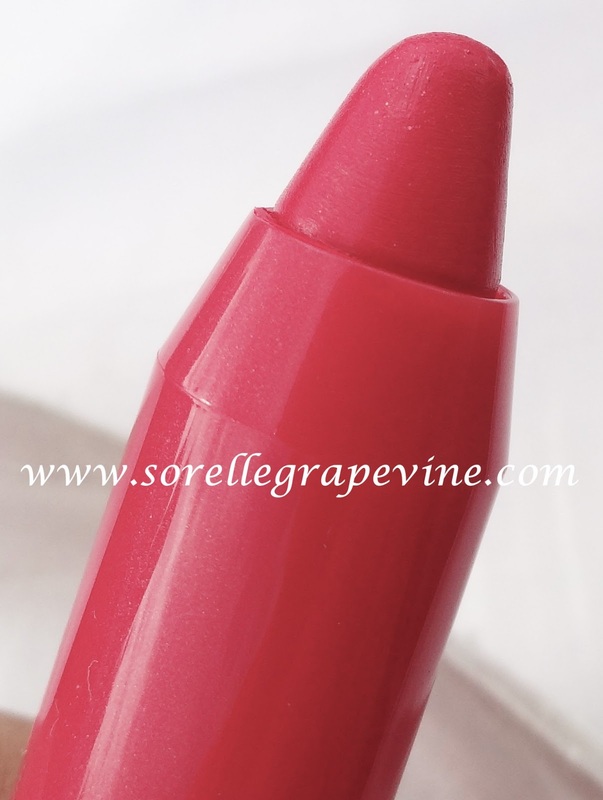 The texture is creamy and finish matches a lipstick. 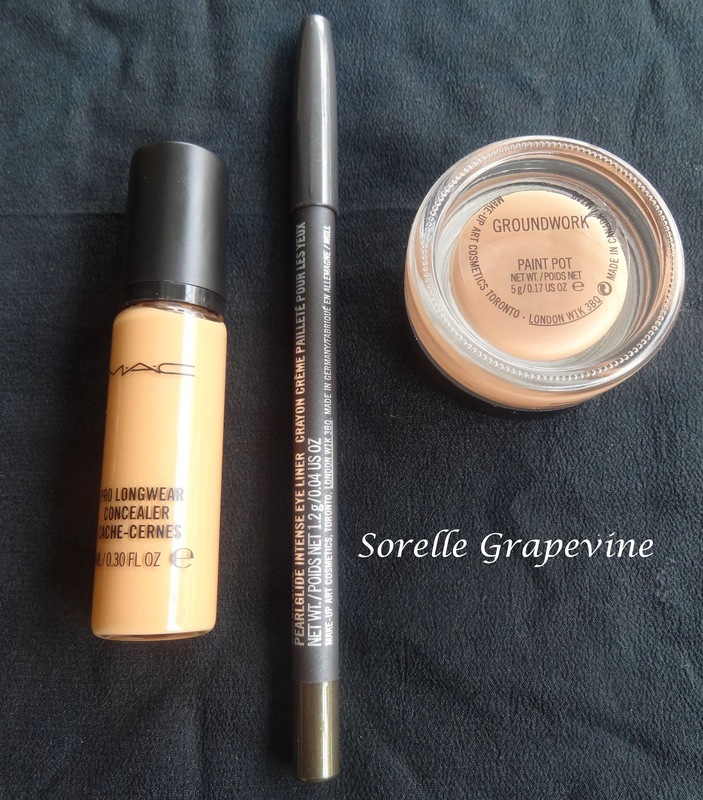 It provides you with full coverage and has a subtle sheen to it. I found it to be neither moisturizing nor drying when I put it on. But I would not recommend this for people with dry lips issue as this does not provide adequate moisturization. 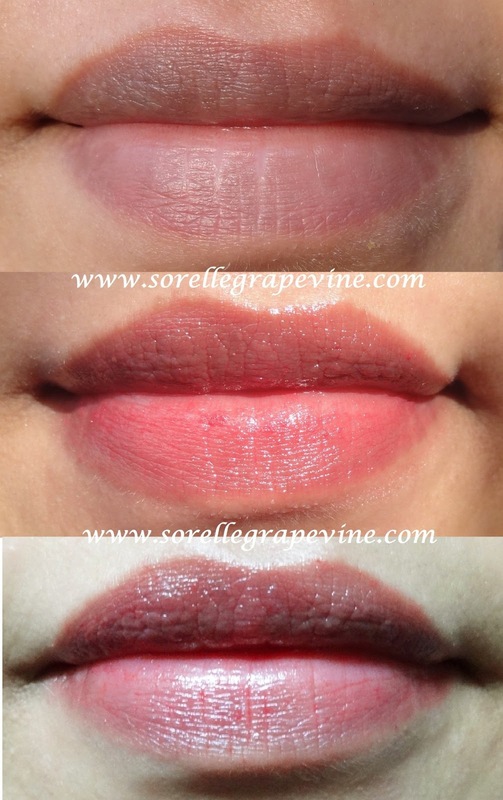 If you are keen to try it out then you would need to layer it on top of a lip balm or apply some gloss on top. Just on its own it might not work for you. 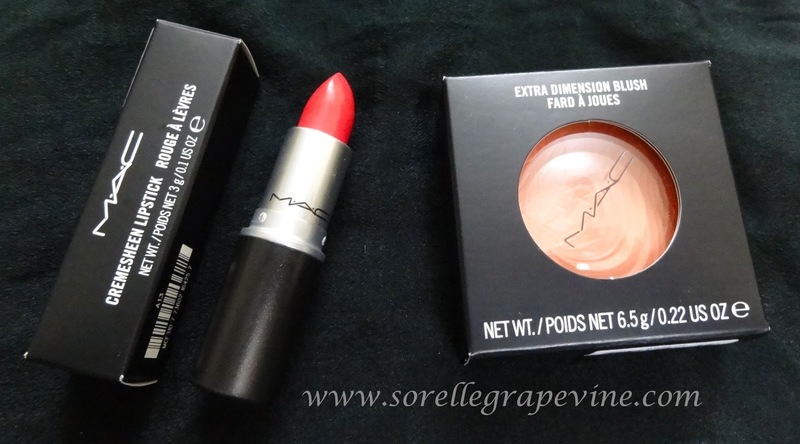 The color is beautiful deep reddish pink shade and it does not contain any glitter/shimmer in it. Given the texture it will transfer very easily. In my “kiss test” it faded to a soft red shade which sat in the lines by the 7th kiss. My lips looked a little dry at the end of that trial. It did not totally survive an eating session. 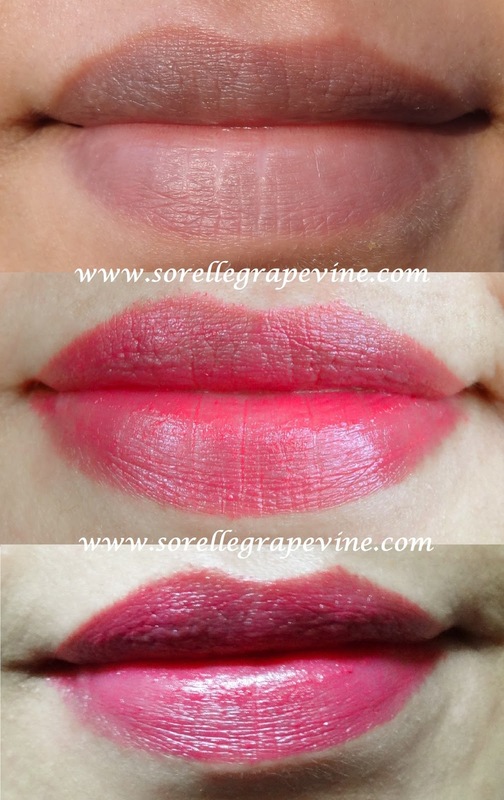 The product got wiped off from the center part of the both the lips however a quick swipe with the finger distributed the remaining product equally and hence coated the lips. I found that on removal there was no staining of the lips and it came off completely. 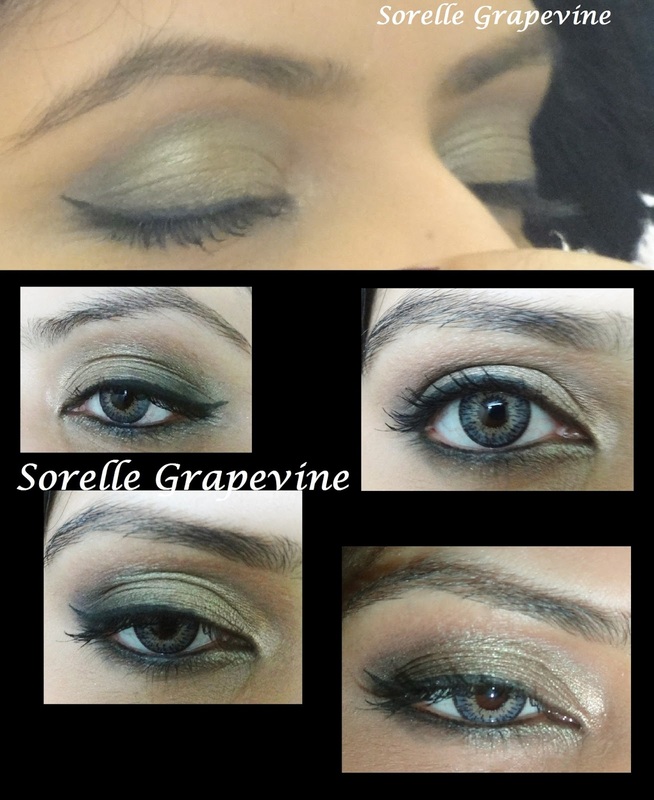 Pic in the middle is taken in natural light and the one at bottom is taken in artificial light. Click pic to enlarge. In conclusion, I really like the color and finish of the thing but the texture leaves a little to be desired. I was expecting it be a little more moisturizing especially since it has ingredients like shea butter, jojoba and mango seed butter. Given that it costs Rs. 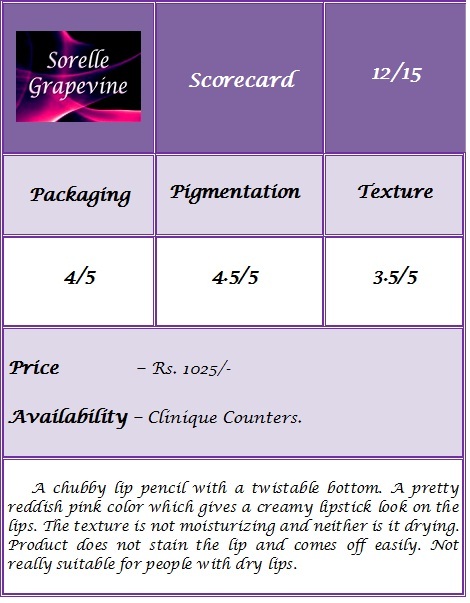 1025/- (as compared to the Revlon ones which are for Rs. 650/- or the Lakme ones that are for Rs. 800/-) I feel that it is a little steep for the quality/performance it gave. 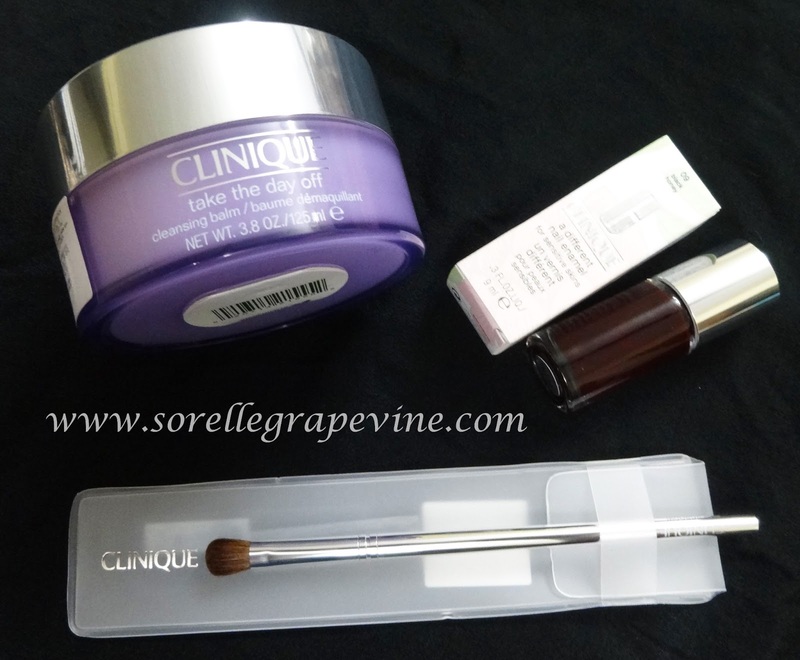 However Clinique products are know to be ideal for skin that is sensitive or faces problem of allergy so for someone like that these could be an answer. And of course there are those who are brand loyal, this would definitely excite them. 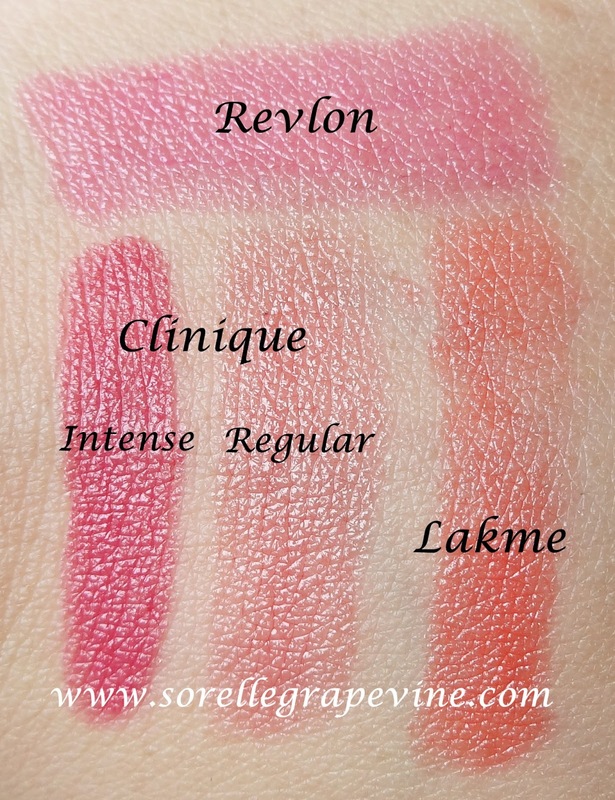 For me the Revlon ones are still front runners (have not tried the Lakme ones though). If you are interested in buying this then I would suggest that you see the intense line rather than the regular one. My funda is that if you are paying so much for a product at least get a good amount of pigmentation out of it if nothing else. Ya at least it should “look” pretty :P. That concludes this review. Have any of you tried these? Do you like them better? Which is your choice of color? Waiting to hear from you – Take care! 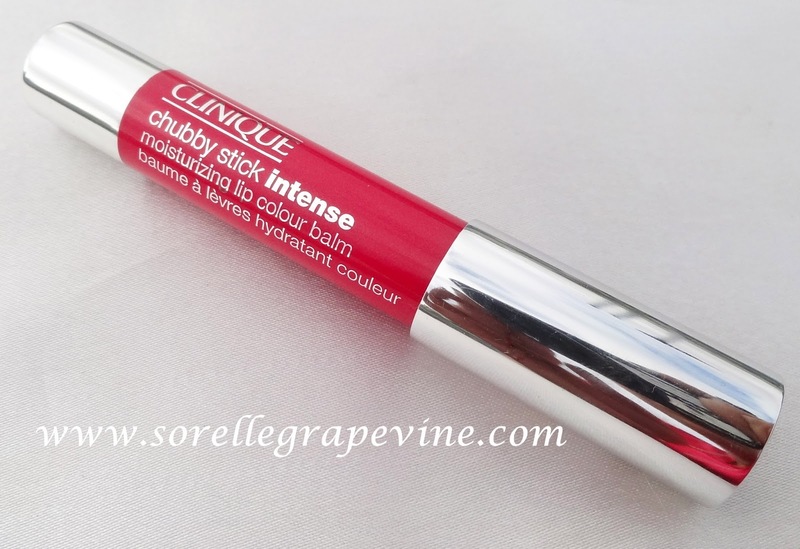 Would you purchase Clinique Chubby Stick Intense Plushest Punch again? – I want to try something else from this range before I makeup my mind coz based on this one, though I like the color, I would not purchase it again. 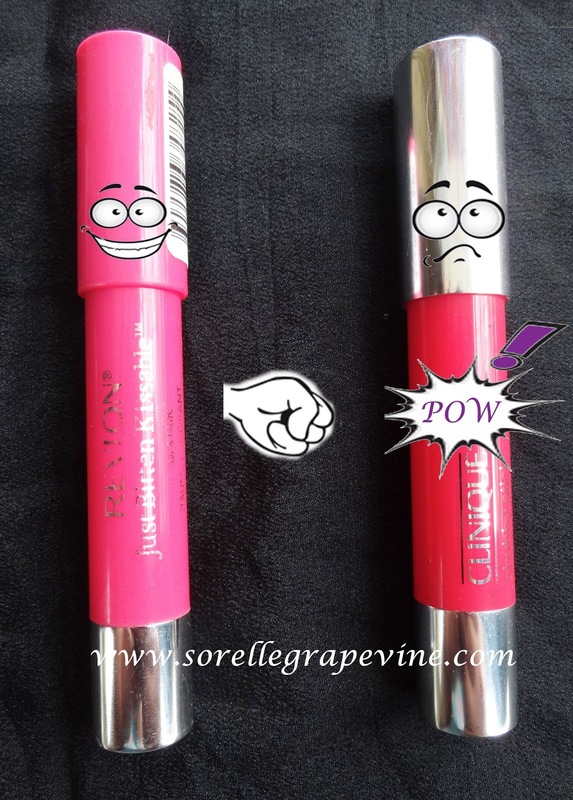 Would you recommend Clinique Chubby Stick Intense Plushest Punch to your friend? – At present, no.